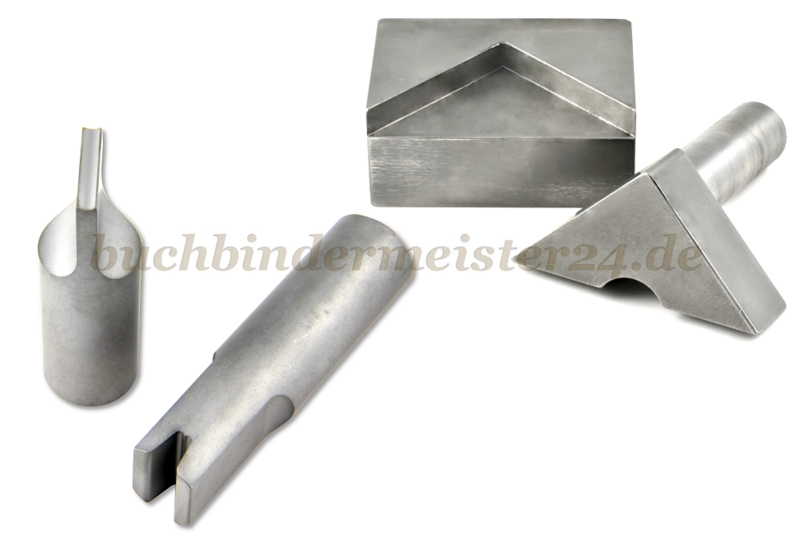 By using our presses you assemble rivets, book corners, metall ends for elastics and cords and much more quickly and easily. 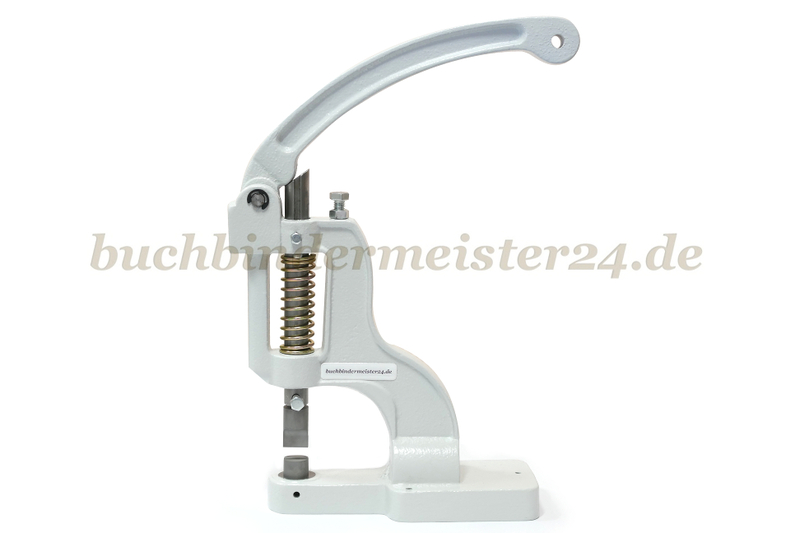 Our hand press is ideally suited to process medium-sized volumes of rivets. Due to the leverage you need just little effort to assemble rivets for example on ringbook mechanisms or wire clip mechanisms. It is made of cast iron and therefore very robust. It's even easier with our pneumatic press: Without effort you process also larger quantities. Our pneumatic press is a proven tool that we have self developed and use in production. The pneumatic press is made of high quality aluminum which makes the press lightweight and it can be easily moved to another job. 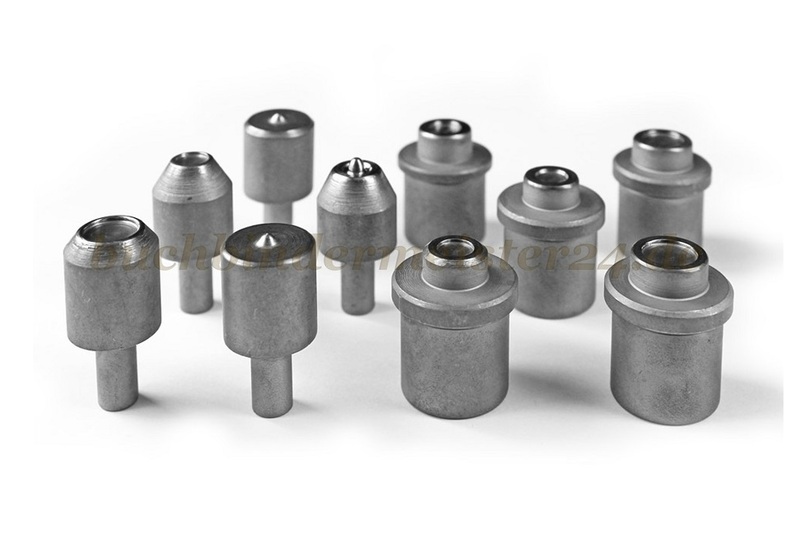 The necessary stability garantees the base plate made ​​of tool steel. 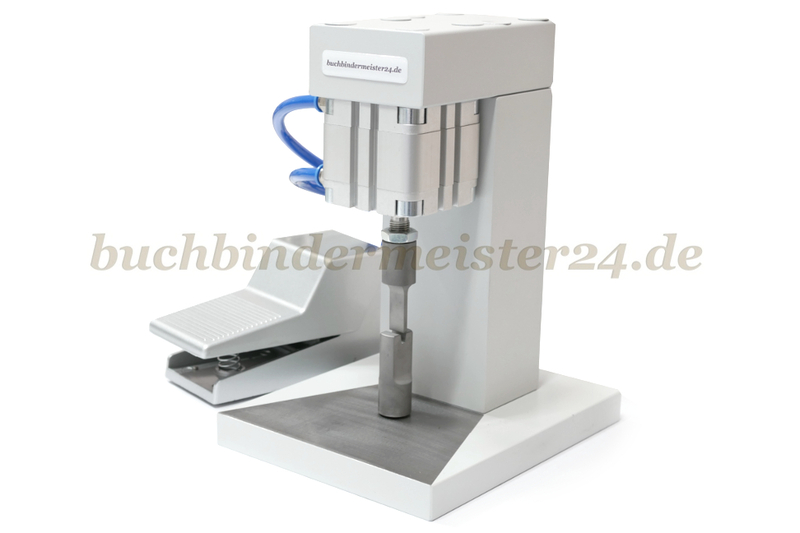 The built-in air cylinder was developed by Festo. Quality made in Germany. Do not forget to order the suitable tools directly.